Travel throughout the west coast’s Emerald City with one of the many private motorcoaches in the Seattle Charter Bus Company network. 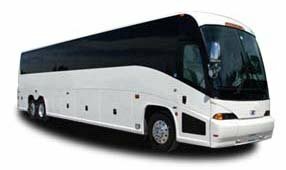 Choose a compact minibus for your day trip around the city or reserve a full-sized coach for your large-scale Seattle event. Each charter bus in our network includes a professional driver and your choice of comfortable features like WiFi, on-board restrooms, televisions with DVD players, and more for your Seattle trip.